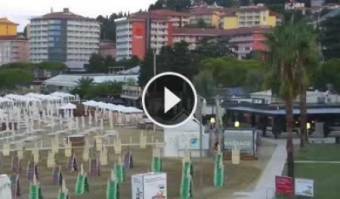 It's 11:08 in Portorož, Slovenia right now. Livestream Beach Panoramic view of the beach in Portorož. Piran: Tartini Square from 'Mestna Kavarna', 1.5 miles away.